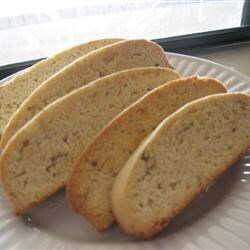 "A traditional biscotti recipe. Great for dunking in coffee or tea." Watch how to make to make this top-rated Italian cookie recipe. ok, so what did I do wrong? Knead by hand?? HOW?? I added an additional cup of flour and it STILL isn't kneadable! all those ingredients wasted.